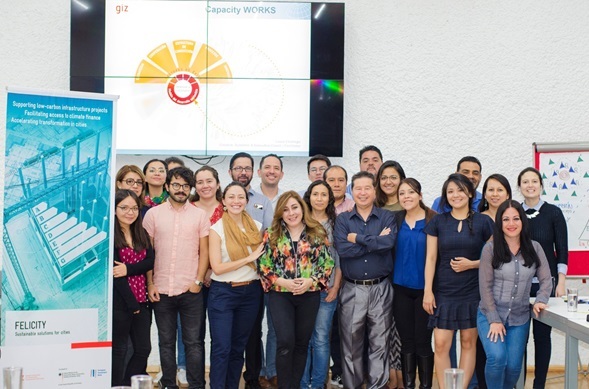 Within the framework of capacity building at the subnational level, the Deutsche Gesellschaft für Internationale Zusammenarbeit (GIZ) GmbH, through the FELICITY global program, offered the Introduction to Capacity WORKS Workshop to representatives of counterparts of the three levels of the Mexican government. 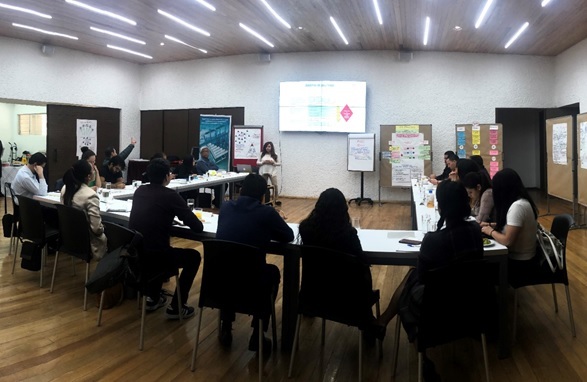 Laura Choriego, a certified Capacity WORKS instructor, facilitated the workshop at the Quinta Colorada in Mexico City from March 11 to 13, 2019. During the three days, participants learned about the operating principles of the Capacity WORKS management model and, through different exercises, reflected on key objectives and experiences related to FELICITY’s low-carbon infrastructure projects. Photo: GIZ. Laura Choriego facilitating the Introduction to Capacity WORKS workshop. Workshop attendees included 27 participants (63% women and 37% men) from the following agencies: at the federal level, the Ministry of the Environment and Natural Resources (SEMARNAT), the Ministry of Energy (SENER) and the Ministry of Finance and Public Credit (SHCP); from the Government of Mexico City (GCDMX), the Ministry of the Environment (SEDEMA), the Ministry of Economic Development of Mexico City (SEDECO), the Ministry of Administration and Finance (SAF) and the General Coordination of International Affairs of the Government of Mexico City (CGAI) ; representatives from the Naucalpan de Juárez City Council also attended. Capacity WORKS is a management model designed for cooperation systems composed of state actors, civil society and the private sector with a common social impact goal. The model was developed in 2006 by GIZ (formerly GTZ) and, after a two-year pilot phase in 2009 and 2010, it was introduced into the company as a management model for sustainable development. Photo: GIZ. Representatives of the counterpart of Mexico City participating in the workshop’s learning exercises. For more information, consult the GIZ-FELICITY and Capacity WORKS-GIZ websites. 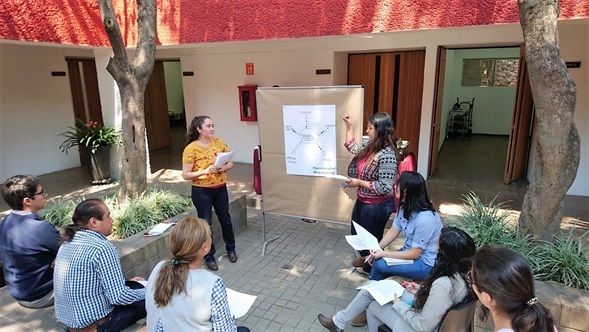 With these tools from GIZ and FELICITY, national representatives strengthen their ability to prepare bankable projects that trigger low-carbon infrastructure in Mexico.